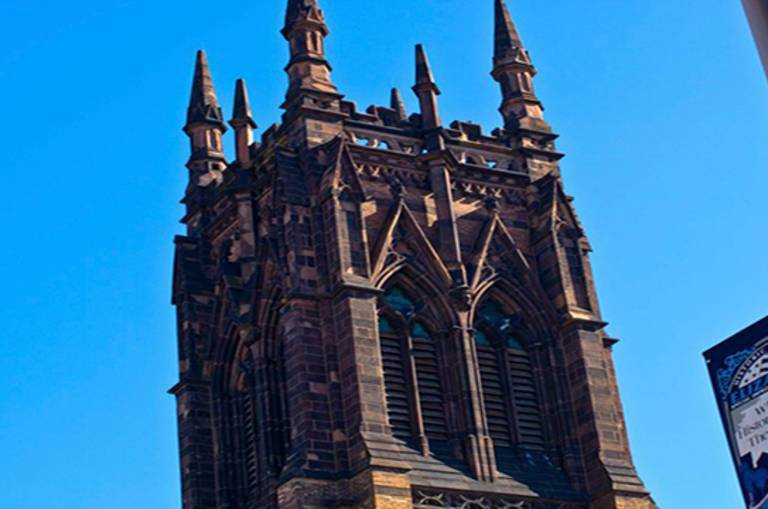 Founded in 1706, the church is known for its features, including stained glass, rich wood work and a cemetery. 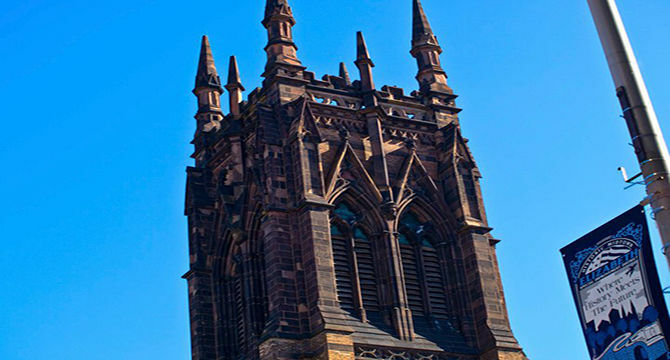 St. John’s Episcopal Church is known as one of the oldest Episcopal Churches in America. Members of the church’s congregation stem from different backgrounds and cultures. St. John’s Episcopal Church has a Sunday school and a full Spanish Mass/Eucharist service. Jonathan Dayton, who lived at Boxwood Hall, is buried in an unmarked grave in this church's cemetery. Dayton had served as a lieutenant and paymaster in the Revolutionary War. In 1789, he was one of four signers of the United States Constitution for the state of New Jersey. Sunday services are 10 AM (Eucharist in English), 11:30AM (missa en espanol), and 2:30PM (Vespers in English).